As you know from my last post, I recently finished reading Year of Yes by Shonda Rhimes. Actually I just took it back to the library about an hour ago. The book was renewing, refreshing and encouraging, much like the message I got in my inbox yesterday afternoon. Fellow Bison Blogger, Howard Alumna, Quad resident and 2D team Member @AccordingtoKori nominated ME for a Liebster Award! This is my first acknowledgement as a blogger and truly came at a pivotal moment for me in my never ending evolution as a writer. For those of you, like me, who never heard of a Liebster Award before it is an online award given to bloggers by other bloggers as a fun way to encourage them to keep blogging and to spread the word about other great bloggers out there.To participate, you must answer the questions from the person who nominated you – and then tag some other great bloggers with some questions of your own. If you’ve never heard of Kori, let me hip you a little bit. Kori and I matriculated through Howard University’s School of Business together and now, this God-fearing, Single, Black Female is out here knocking on doors and making things happen with her writing. Don’t believe me? See for yourself at A2K.com where she writes about life from her lens, and the daily encouragement she finds through her experiences. Part of being nominated for a Liebster is answering the questions of the person that nominated you. The over-thinker in me tripped out a little bit, but I heard a little boy tell his brother last night “Asking questions is how you get SMARTER Tyree” The educator in me is all for helping people get smarter! Short Answer: I was unemployed and discouraged feeling suffocated by how my Daddy Issues had chosen to manifest at that time. Long answer: I always wanted to write a book *read BE Maya Angelou* and I had discovered an e-book called Blog to Book on my Nook. I intended to read the whole book, cause Mik love to READ, but then something AMAZING happened! I found this young philanthropist and entrepreneur on IG: @neodaviso who hosted weekly conference calls, The Power Hour, with young black professionals telling you how they did it and the common thread was “Just START”. So that’s what I did. Short Answer: I’m a Philomath. I read Ev-Er-Y-Thang! Asking me to pick a favorite is unfair. 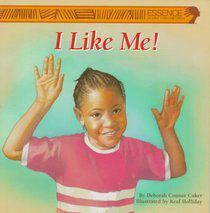 Long Answer: I LIKE ME by Deborah Connor-Coker, because it was the first book where the main character looked like me. Nah, my aunt legit bought me the book because Nia Natasha Sierra Sims looked like me, and self-love is important. Which genre would your life fall under if it were a movie and why? Short Answer: Romantic Comedy, because I’m funny and my love life is a lesson for everybody. Long Answer: I’ve actually toyed with the idea of writing a screenplay of all my notebooks, because I’m that friend who is capable of keeping all your secrets, because instead of telling everybody I’d just write about it. Flipping through my old notebooks is like watching a RomCom. If not, it would be a drama, because these Daddy Issues ain’t nothing to laugh at. What is the nastiest food you’ve ever tasted? Short Answer: I’m a picky eater. I don’t have that problem. Long answer: I’m more selective about my food than I am about my men. Any and everybody can’t get in. Ok? Probably, black licorice though. 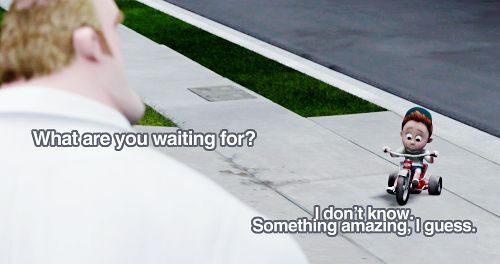 What is one thing you’ve always wanted to do that you’ve never done before? Long Answer: Technically, this box of notebooks filled with my thoughts and poems makes that a lie. I try to do most of the things I want to do. (You do what you want when you’re popping) I guess something I’ve ALWAYS wanted to do since having my first boyfriend was to go on a romantic dinner date inside the library, Jersey City Public Library, Greenville Branch specifically, eating Chinese food and reading books to each other. What is the coolest place you’ve ever been? Going to China; Hong Kong was popping, Terra Cotta soldiers were dope and the water lilies were beautiful. San Juan, Puerto Rico; I felt like it was my long lost home (Even met someone who graduated from my grammar school in Jersey City working at the hotel), the food was great, the scenery was beautiful and the bus was cheap! TIE BREAKER: THE CLASSROOMS WHERE I WITNESSED YOUNG PEOPLE CHANGE BASED ON LESSONS & CONVERSATIONS I TAUGHT AND FACILITATED. THAT, was the coolest place I’ve ever been! What is one major key you’ve learned in life so far? Short Answer: It’s about the journey, not the destination. Long Answer: At Howard my Freshman year we had this man, Rev. Gray, who told us to “Get OUR Groceries” which pretty much meant not to leave without getting what we paid for. He died during our winter break that year. I try to remember on my journey to being Maya Angelou, to cherish the moments that happen along the way. Everything is the past. Once the next second comes the moment is over. Embrace it all. AND NOW IT’s MY TURN TO NOMINATE PEOPLE! How would you describe your audience? Using 3 characters, Name them & describe how you reach them. What has been your biggest failure in life? How did you learn from it? Who is your favorite artist, not-musical, and why? Do you know the album release date for Elle Varner’s sophomore album, WHAT’S THE HOLD UP? Do you have support team, if so, who are they? How do you plan to serve the world with your writing? Do you think you have Daddy Issues? Found this blog via an article on BlackLove.com yesterday and I’m already obsessed. I’m reading from the beginning to properly take in the growth. I’m going through a similar journey of dealing with my daddy issues. I feel like people are tired of hearing my realizations, so I decided I would consume your work in solitude and just take it all in. It makes me feel safer knowing you too are a Howard Alumna! Q-U-A-D and sounds like a graduate of SOB too! These parrelels of comforting. Thank you for your transparency. So Glad a fellow Bison and QUAD girl found some value in my story! Please continue to share your thoughts as you read through!